Book a game truck for your next event! 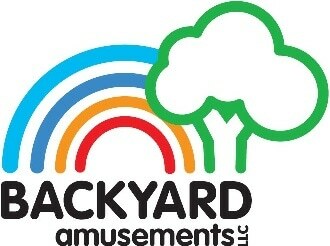 Backyard Amusements, LLC. has everything you need to make your party or event a complete success. We're well known in the Washington Metro Area for having a large assortment of bounce houses, carnival games, fun foods and putting together some great parties. 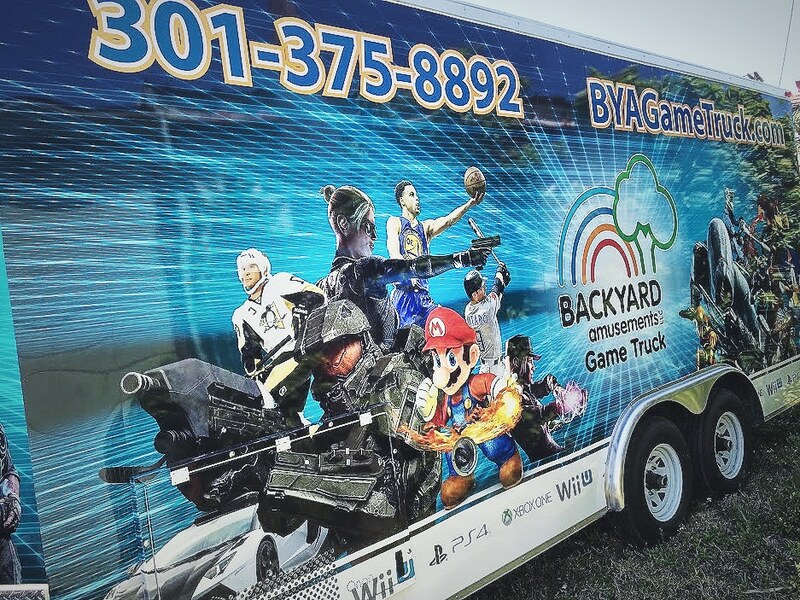 To keep that tradition going we've added the BYA Game Truck to raise the excitement and entertainment level in Maryland, D.C. and Virginia. Our BYA Game truck is built to impress. Anyone can stay in the house and play videogames, but we offer an experience that can have as many as 24 people being entertained at one time in a climate controlled and luxurious environment. Our "game"ologist will pull up to your event location and provide you and your guest with an unforgettable, ultimate gaming experience. Our game truck is a unique form of entertainment for every kid from 8 to 88. Call us to be the life of your backyard party, school, church or corporate functions. 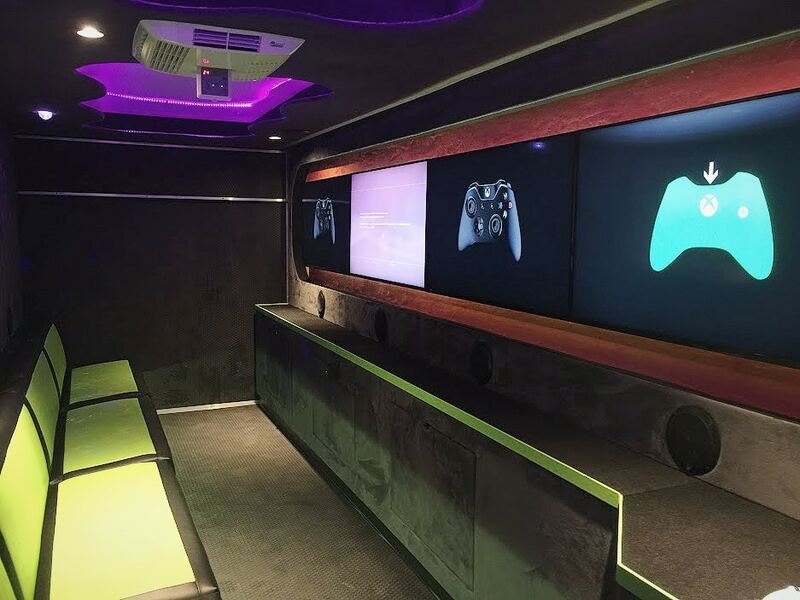 The gaming consoles we have in our Game Truck are Xbox One, a PlayStation 4, Xbox 360's, PlayStation 3 and Wii U. Displaying all of the gaming entertainment is six 50" LED HDTV's with the help of a pulse pounding 10,000 watt custom audio system. We have strategically placed 2 subwoofers and 20 component speakers throughout the trailer so you are immersed in the action of the video game you are playing while still being able to enjoy the hit music you have playing in the background. The BYA Mobile Game Truck is 20 feet long, 7.5 feet tall on the inside and designed to be extremely comfortable for ever person it entertains. The air conditioner is controlled by a digital thermostat and can be as cool or warm as you need. The seats are leather with well cushioned inserts, the walls are wrapped in suede and the floor is a durable non slip rubber. On the outside of the unit an awning covers the TV's to reduce glare and the same wrapped suede is used around the televisions to continue the look. We come to your event and take care of everything. We have the best Game Truck, the best gaming consoles and all of the latest games. But, what really makes the difference is our "game"ologist who will keep kids from from ages 4 to 104 engaged and excited throughout your event. Each "game"ologist has years of experience entertaining at parties, churches, corporate events, festivals and everything in between. We are licensed and insured, safety certified and have a A+ Rating from the Better Business Bureau. We have a two hour minimum for rentals and we operate the BYA Game Truck 7 days a week. Whether you have a private house party, all day event or a week long festival we are here to make your event memorable. We look forward to serving you in the near future! Please make sure you book well in advance, remember reservations are first come, first serve. If you have additional questions or are ready to make a reservation, contact us at (301)375-8892. (301)375-8892 to reserve your fun today!